With the temperatures finally falling in North Texas well it seems like October now. The pink washing continues with Cancer awareness month rolling on and you deserve to know the truth that solutions to cancer exist just review my previous writings to learn much more. Over the past one hundred years several thought leaders, Nobel Prize recipients, etc. 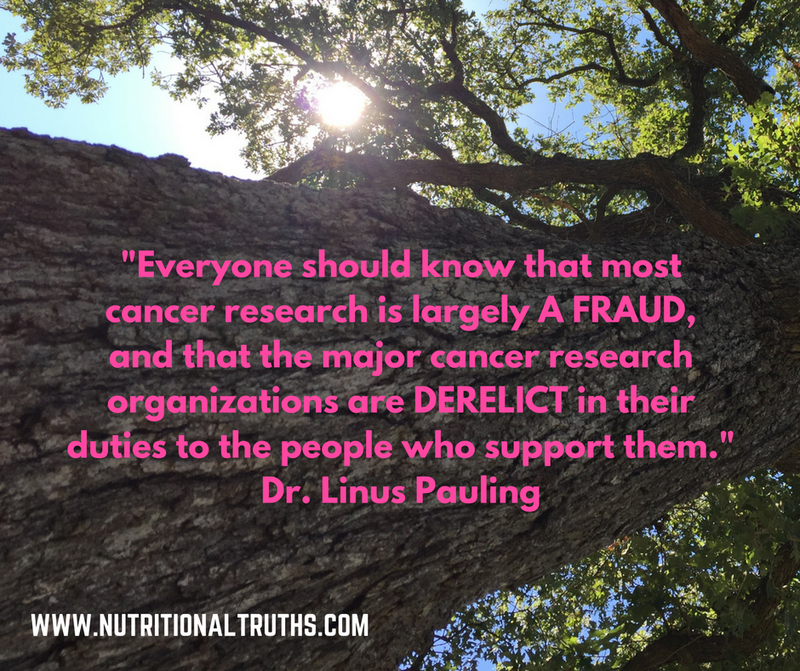 have shared their views on the truths about cancer and the cancer industry. I would like to introduce you to one of these people who were intelligent beyond my means and to say was well-respected is an understatement. Dr. Linus Pauling was the only person ever to receive two unshared Nobel Prizes for Chemistry (1954) and also for Peace (1962). Considered by his peers as one of the two greatest scientists of the twentieth century he is also considered the father of molecular biology. He spent seventy years advancing science on many levels and within several areas including orthomolecular medicine, Vitamin C, genetics, molecular disease, physiology, electronegativity, and others. With the last thirty years of his life focused on peace activism and humanitarian issues and now for a few of the wise man’s quotes. An incredibly intelligent and caring man Dr. Pauling left our planet in 1994, and much of his work and discoveries are still standards within various sciences. Investigate him further to learn much more about this amazing scientist. Enjoy your weekend, share this as you like and Be Well!